The fence runs north and south parallel to Cavell street. It was perpendicular to the wind blowing from the west. Click on the URL above to the large annotated version of the original image. Clicking thumbnail three below will bring up a much smaller image. Also notice the jpg file name following the two dashes at the top of the image referenced by the thumbnail. It contains a string describing the image. 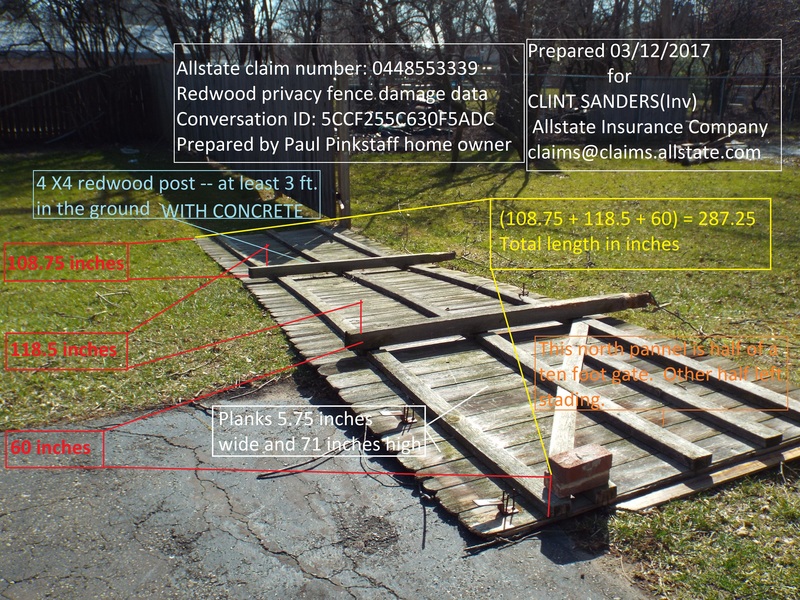 For example, the image referenced by thumbnail one is named "dscf6776_overview_of_damage.jpg." It shows the fence and the damage in the larger context of our back yard.